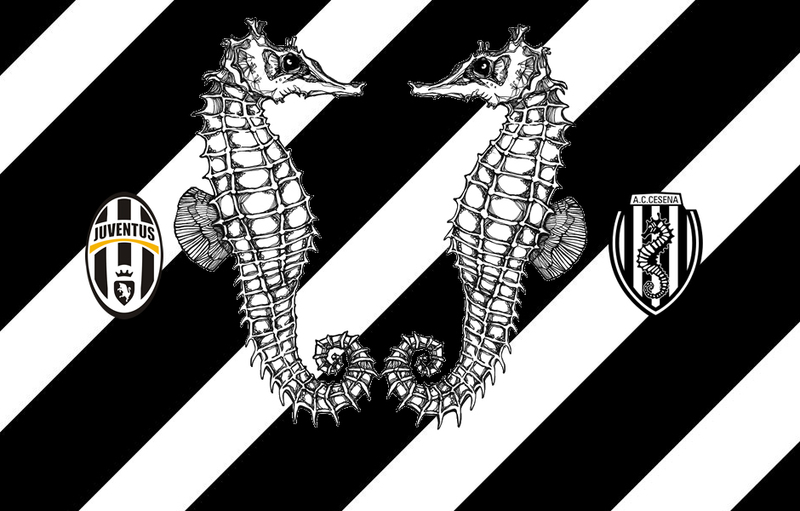 As Juventus come off the weekend grabbing all three points against AC Milan at the San Siro, we see ourselves getting ready for the Bianconeri’s midweek Serie A match against newly promoted side, AC Cesena. Thanks to an electrifying Carlitos Tevez and a motivated and disciplined Allegri squad, we’ve seen our beloved Juve score six goals without conceding one in the first four games of the season. While this is the ultimate test for Cesena–to show their worth against the three-time Champions of Italy–this is not the first time the two sides meet this year. On July 30th, Allegri’s men met the newly promoted side and left with a 0-0 draw, leaving Juventini questioning Allegri’s tactics before he quickly silenced his doubters. Carlitos Tevez has been a key part of Juve’s recent success–not to mention the 19 goals he scored in the Serie A last season–having scored two goals in the first three Serie A matches and two stunning goals against Malmo in the Champions League, ending his drought in doing so. After scoring a late winner at the San Siro this past Saturday, surely Tevez will wish to continue his great run against Cesena; hopefully we will see more iconic Tevez celebrations as well! 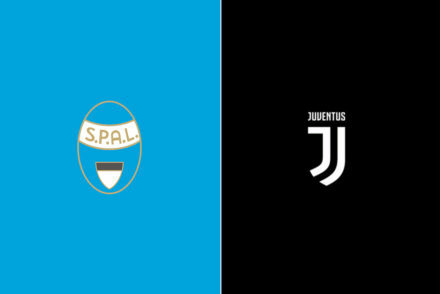 Cesena are coming off a 2-2 draw against other newly promoted side, Empoli in an exciting battle for the one point, Juventus Loanee, Daniele Rugani scoring an exciting late goal to steal two points from the Northern Italian club of Cesena. Although Cesena blew their 2-0 halftime lead against Empoli, they were successful in their season opener against Parma in their important 1-0 win, beating Antonio Cassano’s side in doing so. The Seahorses were not as lucky in their second match, against Lazio when Candreva, Parolo and Mauri buried them in a whopping 3-0 defeat at the Stadio Olimpico. Starting off 1-1-1 for a newly promoted side is not unusual as former Bologna manager, Pierpaolo Bisoli, looks to emulate many Italian sides, particularly Antonio Conte’s Juve as he uses his most comfortable formation, the famous 3-5-2. Against Empoli, Bisoli went in with a midfield three of Brienza, Cascione and Coppola who will likely face Pogba, Marchisio and Vidal (if Allegri feels comfortable starting him after his recent injury issues). Max Allegri and co will look to continue their brilliant run against I Cavalluci Marini as they will face the potential Juventus number one, Nicola Leali, who finally features in the Serie A after playing his last 76 first team matches in the Serie B for Lanciano and La Spezia while on loan from the Bianconeri. The Juventus back-line may have more trouble than many think since both Cesena forwards, Guido Marilungo and Gregoire Defrel are coming off of goals against Empoli. 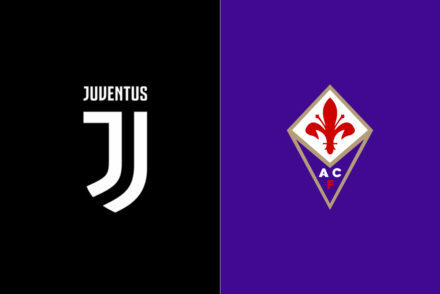 To surpass AS Roma’s equally impressive start to the season, Allegri and his men will have to go into this match with as much determination and hunger as though it were a final. Luckily for Juve, they seem to never seize to impress at the beautiful Juventus Stadium as the Bianconeri search for all three points and hopefully another clean-sheet in the making! The game against Cesena presents the usual difficulties of any match against a newly promoted team early in the season: they are very pumped up for the promotion, the players are trying to make a name for themselves in Serie A and some of them that are completely unknown might catch the opponent off guard, they have nothing to lose because they don’t feel the pressure of having to grab some points at all costs. Cesena have a very intense coach (Pierpaolo Bisoli) and all in all a roster that could allow them to stay in Serie A, if things go their way. They beat Parma in a cynical performance, they weren’t convincing at all against Lazio and they wasted a two-goal lead against Empoli. Three very different performances that don’t really say much about this team. They’ll need some time to mesh since they had many newcomers in the summer. They have in a very motivated Marilungo and in a revamped Franco Brienza their best players: they roam in the attack without giving any reference point. 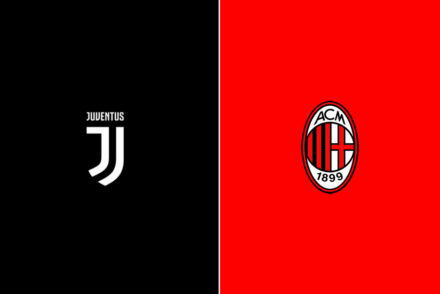 However, they lack a pure scorer that could have solved some situations for them during the season and so they’ll have to make do with Alejandro Rodriguez, Milan Djuric and Davide Succi. They have two tactics at disposal: 4-3-3 with one of the aforementioned centre-forwards or 3-5-1-1 with Marilungo as the lone striker. 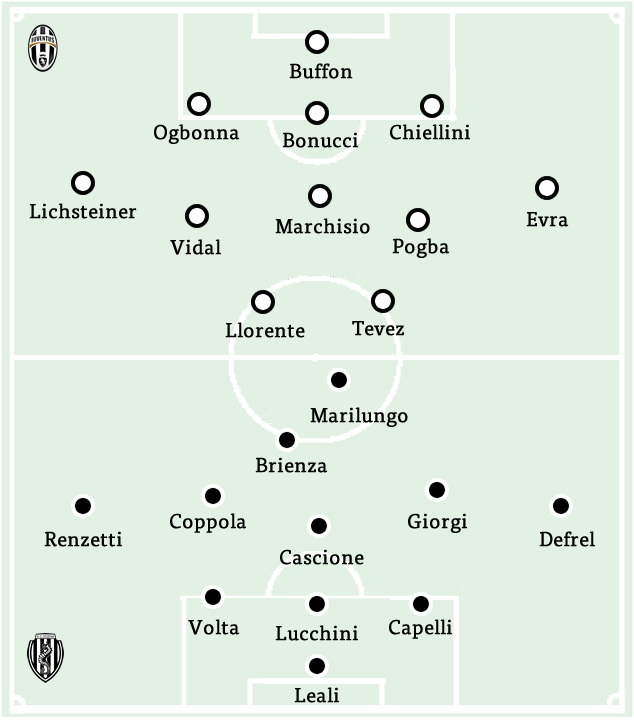 The early indications say that Bisoli will use the second one and it makes sense: they’d mirror Juventus scheme, a thing that coaches often like to do, and they did better against Empoli when they switched from the first one to the second one. They are a newly promoted team, but they don’t lack of experience. The mastermind Rino Foschi, thanks to his connections in the football world, built a squad full of veterans like Stefano Lucchini, Daniele Capelli, Massimo Volta, Emanuele Cascione, Manuel Coppola, Giuseppe De Feudis, Luigi Giorgi, Nico Pulzetti and others (some of them returning after last year’s stint). Considering that their budget was really low and that the club has been battling financial issues for a while, that’s a decent roster. They’ll be without Riccardo Cazzola (knee), Andrea Tabanelli (foot), De Feudis (calf) and Pulzetti (thigh) and these absence limit their options in the midfield. Other than the tactic, the only real doubt about the lineup is whether Giorgi or Ze Eduardo will play in the midfield. Their average possession is 41, which is telling, and they conceded 15 shots per game. Their forte in surely the counter-attacking game, where they can exploit Brienza, Marilungo but also Gregoire Defrel, who is set to play at RWB but is an interesting offensive playmaker. On goal, they’ll have the Juventus-owned Nicola Leali, who will be certainly eager to prove his value in front of his potential future team.